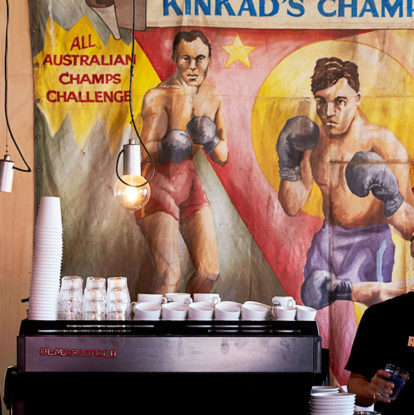 Considered the culture capital of Australia, Melbourne thrills with galleries, grandstanding sporting events and some seriously good caffeine. Melbourne’s reputation as one of the most culturally rich yet effortlessly laid-back cities in the world is certainly deserved. Its city center is chock-full of street art, coffee roasters, independent boutiques and restaurants, while neighborhoods like St Kilda, Carlton and Prahran are perfect for exploring. Thanks to Victoria‘s multi-cultural heritage you can find Italian food on Carlton’s Lygon Street, discover freshly shucked $1 oysters at South Melbourne Market, sip great coffee in Fitzroy, and indulge in celebrated Japanese, pan-Asian and modern Australian dishes on Flinders Lane, one of the city’s most iconic streets. Vibe Hotel Carlton is a pocket-friendly choice with some unexpected perks; think park-side accommodation and a rooftop pool. NOTEL offers guest accommodation by way of converted Airstream caravans hidden on a city-center rooftop above Flinders Lane. Treasury on Collins is set in a stately, heritage-listed property with a choice of spacious suites and loft-style apartments. Melbourne’s laneways are dotted along a grid of major streets and are continually reinventing themselves. Check out Centre Place for cheap eats, Hosier Lane for street art, and Hardware Lane for a glass of something tasty. Many of Melbourne’s best finds are hidden above street level on rooftops across the city; during the summer months Melburnians like to eat and drink high up and under the stars. Join them at the Spanish bar-restaurant Bomba and the hidden Collingwood cocktail gem, Above Board. Melbourne hosts some serious sporting events; plan your visit around the Australian Open in January and the F1 Australian Grand Prix in March and feel the buzz of excitement. The Great Ocean Road is the most popular side trip for international visitors so we created a guide for you. But Victoria has a lot more to offer than one of Australia’s most scenic drives. Some of Victoria’s best produce can be found in the Yarra Valley region located 75 minutes outside of Melbourne, known for its picturesque vineyards and award-winning restaurants. Indulge in the Yarra Valley’s array of cool climate wines by booking a winery tour (you can opt for coach or bicycle); many of the wineries will ship abroad to save you having to transport your favorite wine home. Top picks include Rochford Wines, which hosts live jazz, and TarraWarra Estate, with an art gallery, winery and restaurant. Healesville is a buzzing town situated in the heart of the Yarra Valley with easy access to restaurants, wineries, cycling trails and art galleries. The finest accommodation and luxury hotels in the region are usually found in Yering and in particular Chateau Yering. The awarded restaurant at Oakridge Wines serves up modern Australian dishes; rustic Italian can be found at Innocent Bystander; for special occasions book a sumptuous high tea at Coombe – The Melba Estate. Indulge in a five-course meal at Doot Doot Doot just outside of Melbourne at the Mornington Peninsula’s latest five start retreat Jackalope. Ninety minutes south of Melbourne lies the Mornington Peninsula, a coastal region saturated in local history and dotted with stunning beaches. You’ll find open-air hot springs, local produce and raw coastline trails. No trip to Mornington is complete without several hours spent relaxing at the Peninsula Hot Springs, a recently refurbished spa and wellness center that’s open from dawn until dusk. For bushwalking with sea views, Bushrangers Bay and its adjoining beach offers easy-going trails through native plants and wildlife. Situated in the Red Hill wine region, Lindenderry at Red Hill offers elegant luxury surrounded by abundant farmgates and wineries. For the quintessential Peninsula lunch, stop by Montalto piazza and winery for fresh antipasti, salads, pizza and slow roast meats paired with delicious wines. For five sumptuous courses designed around locally selected ingredients, visit Doot Doot Doot at the Jackalope hotel; its menu is the toast of the region. Located roughly 1.5 hours from Melbourne through countryside, Daylesford is spa town and a quintessentially Melbourne escape. Famed for its mineral springs, which have been attracting visitors since the late 19th century, the obvious first port of call is a mineral spa; head to neighboring Hepburn Springs and the celebrated Hepburn Bathhouse and Spa to soak in the soothing waters. The irresistibly named Wombat Hill Botanic Gardens are a perfect place for a picnic and there’s great shopping along the gracious main thoroughfare of Vincent Street. Most people coming here covet staying at the legendary Lake House, a multi-award-winning retreat run by husband and wife team Allan and Alla Wolf-Tasker; Alla is also the culinary director of the equally legendary on-site restaurant. The Convent has great food and a stunning historic setting; try Mercato@Daylesford for a fine-dining menu; Cliffy’s old general store setting is big on charm.